A small Windows utility, but an effective way to get your windows partitions, or volume, to undergo a quick test! You can test SSD, DF, SD cards, USB sticks and other data carriers! 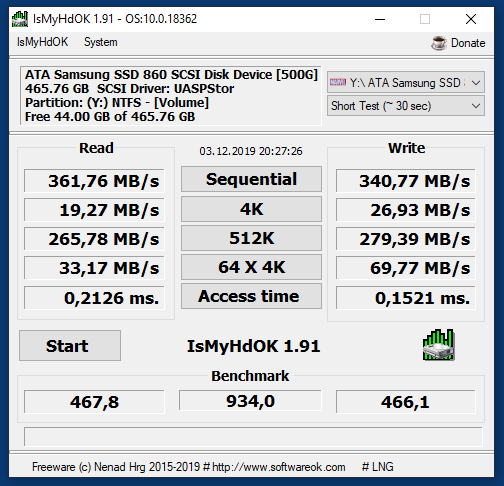 With IsMyHdOK you can check in a simple, but very fast way, if your hard disk still has the same values.